For the company isolutions, Enigma developed and implemented a concept for a landing page with four customer-specific sites. isolutions creates both workability and creativity-enhancing working conditions for its national and international customers. isolution’s mission for Enigma was to develop a website that addresses and inspires its four customer groups, namely sales, marketing, IT and leadership. The aim of the user-friendly website was to offer customers added value and lead them through isolutions’ offers. 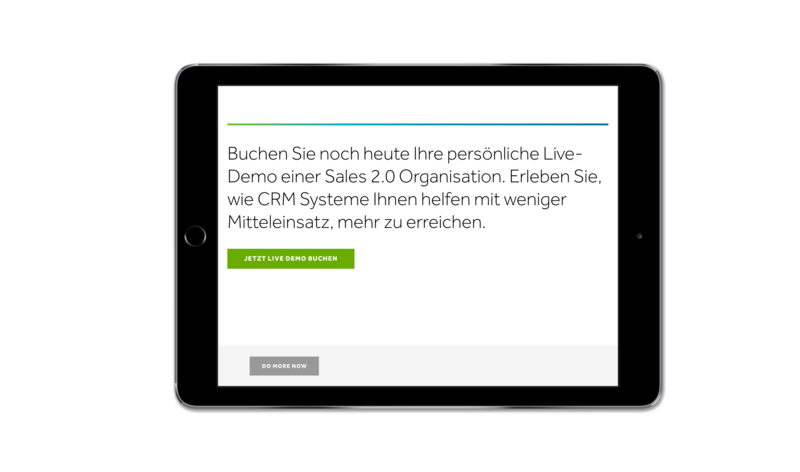 In order to make the customer the focus as far as possible, isolutions was kept somewhat in the background on the landing page. Instead, the four target groups were placed in the center. They are differentiated and specifically addressed on the «Do More With Less» website because they have different needs. In order to offer the customer the highest possible value, clear and concise facts show how to generate the highest possible output with little investment. This is also reflected in the name «Do More With Less». The isolutions page still exists. The «Do More With Less» website is a campaign page that consists of three levels. One level includes generally held but relevant content for the target groups. Another level provides interesting and clear facts to the different target groups to attract the attention of the customers. A final level includes informative customer videos, which arouse emotions in the target audience. In addition to the goal of providing the customer with a user-friendly website, another requirement was to generate new leads. This was done through targeted calls-to-action. As soon customers want more information on a topic, they can enter their e-mail address and receive the desired documents. This gives the customers information and at the same time isolutions new leads.